After eight weeks of solid rotation on national yoof broadcaster triple j, Hungry Kids of Hungary’s latest single ‘Scattered Diamonds’ is about to experience a new lease of life. Not only will the song be featured as iTunes’ Single of The Week starting May 5 but it also now has an official music video shot by first time creators Brodie Rocca (director) and Bec Parkinson (producer). The clip was shot over two days on the Gold Coast and features the Hungry Kids themselves along with an impressive and cheeky cast of intricately crafted sock monkeys created by local lass Cassandra Urquhart. 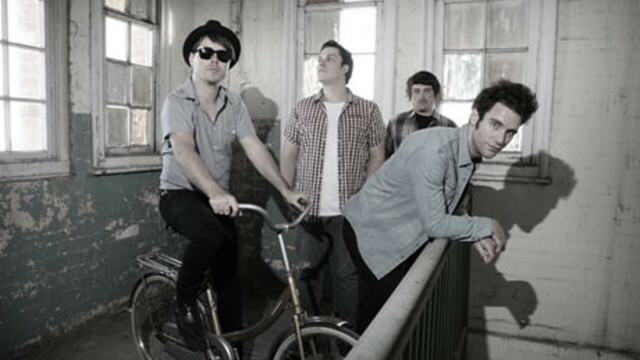 In other monkey business, the Hungry Kids have recently packed away the road cases after completing dates with new besties Philadelphia Grand Jury and Washington as part of the International Relations Tour, a jaunt that saw them cruising the east coast playing to sold out audiences in Melbourne, Brisbane and Sydney. Culminating at the Annandale Hotel in Sydney, the show was filmed by JTV and recorded by triple j for future broadcast – tune into highlights from the show on JTV Monday 4th, 11th and 18th May at 9pm. In the meantime, the harmonic quartet have a small handful of gigs to prepare for before their next bout of interstate travel.